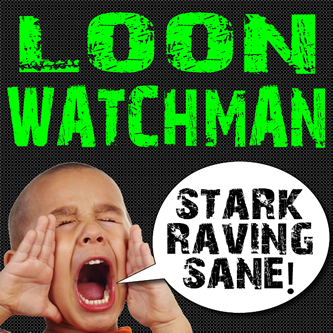 I was creating a Word document one day, and I realized that the spell-check had corrected my name to “Loon Watchman.” OK then. I love your sane/insane analogy! EXCELLENT! I look forward to reading. How do I subscribe? Hey Erin – if you go to the main page for my blog (click on the Home tab at the top of this page), you will see in the bottom right corner a tab that says “Follow”. Click on that and you can subscribe. Sure — no problem. But it may not print very well, since it is not very high resolution, because it was created for the web, not for printing. Hi there – I am putting together a youtube video about the Bloodmoon – found your image of the Cross and the doves – and absolutely love it! Wondering if I could get permission to use it? Many thanks! I purchased some countdown videos and am trying to get them to run in the background of a powerpoint presentations. Am I attempting the impossible? Jerry — unfortunately, I do not know much about powerpoint, so I can’t really help you with this question. Sorry.